Citron Research’s Andrew Left, who’s gained notoriety for successful bets against companies such as Valeant Pharmaceuticals, on Monday posted a new bearish report on Shopify. Founded in 2004, Shopify’s software helps merchants run their businesses across a variety of platforms, including web, social media storefronts, and brick-and-mortar pop-up shops. 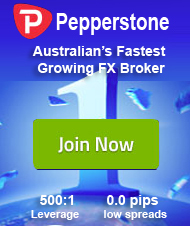 It assists merchants in managing products, processing orders and analyzing customer trends. The Citron chief also said that Shopify shares should immediately trade back to $100 per share, $35 per share below their current price. Facebook, meanwhile, is currently entangled in one of the company’s largest crises to date. The social media giant is under fire over its handling of personal data following reports that research firm Cambridge Analytica wrongly gained access to personal data of more than 50 million Facebook users. Shares of Facebook fell as much as 6 percent Monday after the Federal Trade Commission announced it is investigating the company’s practices. The investigation likely adds to a growing list of reasons the company may elect to further restrict access to its data in the future. 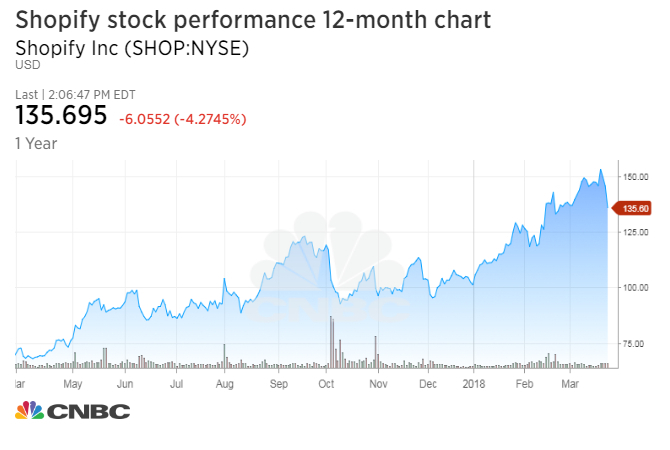 Despite poor performance from both companies’ shares on Monday, Shopify’s stock has surged roughly 100 percent over the course of the past 12 months. Left, however, attributes this fact more to a swell in Shopify’s number of “stores” and customer base than meaningful profit growth. Since Left’s October note, shares of Shopify are up 37 percent through Friday’s close.